The chill in the air. The birds migrating south. The night consuming the early evening hours the day once called their own. We are headed toward the dreaded New England winter, before long mountains of snow will cover the green landscape we got so accustomed to over the summer. If you do not properly prepare, winter can destroy the beautiful yard you created for the summer. 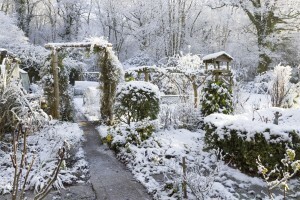 Our last blog covered how to protect plants from frost, so now let’s take a look at how to protect the rest of your yard.